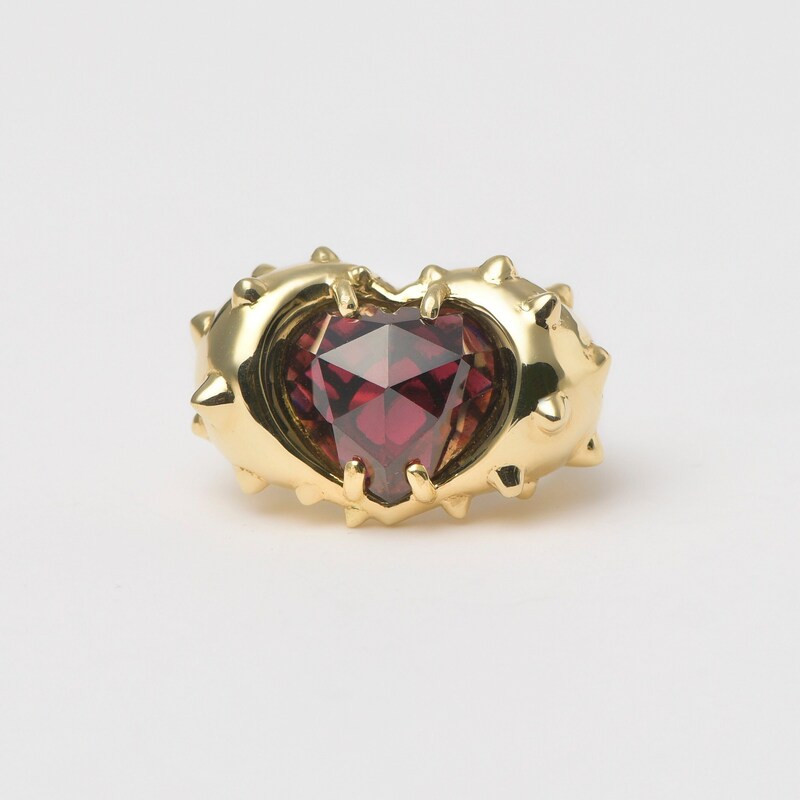 The Spiked Heart ring is masterfully hand sculpted by Maria and crafted in 18K yellow gold, hallmarked in Cyprus, featuring an 11Ct heart shaped, rose cut Garnet. 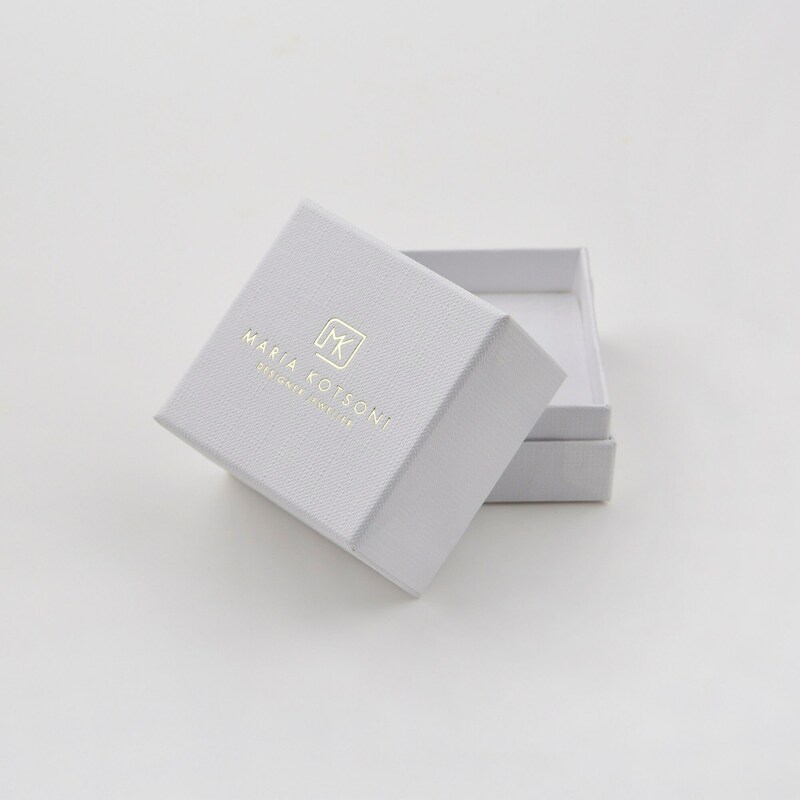 This impressive, ultra feminine, statement ring comes in a highly polished finish and makes the perfect choice for a strong, confident and passionate woman. 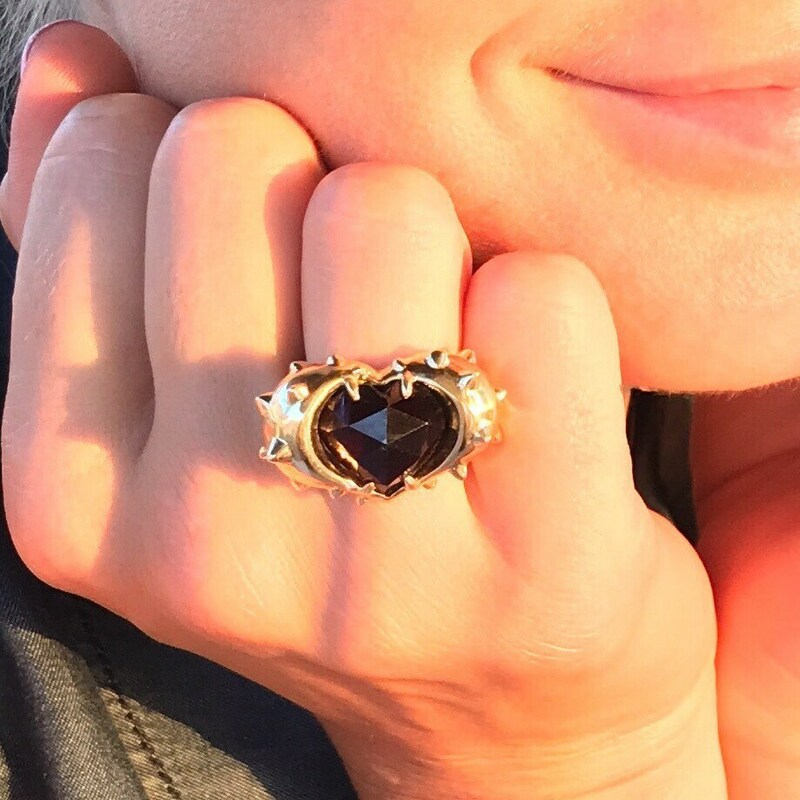 The Spiked Heart ring is part of the designer’s latest collection ‘Spiked’ that focuses on the Spike as an ancestral element and it’s use as an accessory for the protection of the most delicate life forms and the aversion of potential threats. Size made to measure, please state by email.